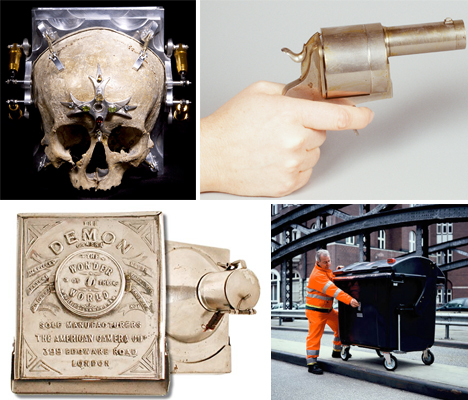 A pistol that shoots photos instead of bullets, a harness for pigeons, a cane and a human skull are among the unexpected objects that have been turned into film cameras since the dawn of photography in the 19th century. Here are 15 strange and unusual cameras, including historic collector’s items and new experiments in low-tech techniques like pinhole photography. Inventor Julius Neubronner’s tiny harnesses fitted with cameras were received with understandable skepticism when he first unveiled the idea in the early 20th century, but once he put the photos taken by pigeons on display, his idea took off, and even the military took interest. But it wasn’t long before the invention of the airplane made the need for pigeon photographers null and void for reconnaissance purposes. 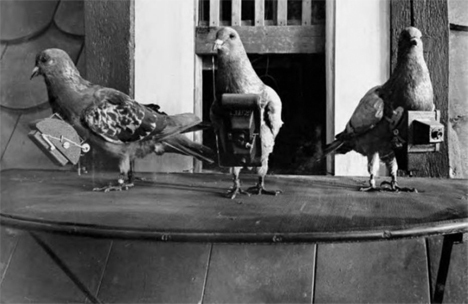 Each pigeon was trained to wear the harness and fly to a specific location, and a timer in the camera took care of the rest. 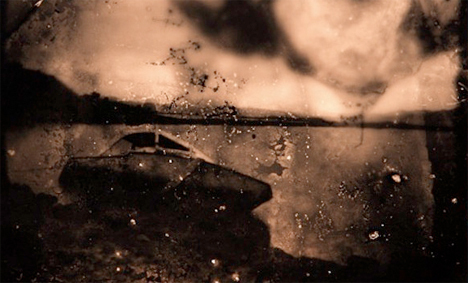 Photographs taken from inside a human skull are suitably eerie and nightmarish. 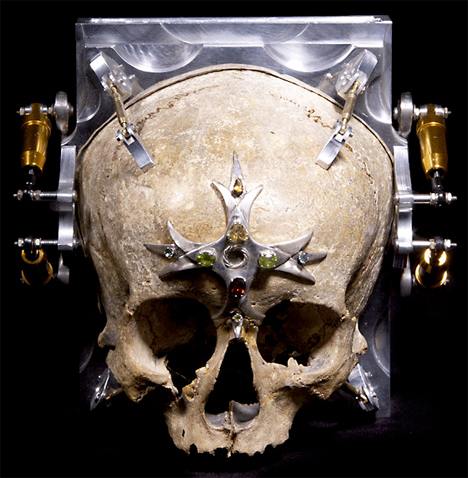 The Third Eye Camera by Wayne Martin Belger is made from the 150-year-old skull of a 13-year-old girl. It’s a pinhole camera, with a hole drilled between the eyes letting light hit a piece of photo paper placed inside. The world’s largest camera at the time, this monster made by Chicago camera builder J.A. Anderson weighed 900 pounds and required 15 men to load it onto a horse-drawn van for transport. And it’s all because the Chicago & Alton Railway company wanted to show off their new train to the world. 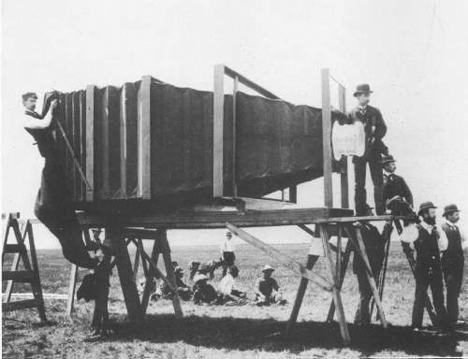 The camera had a 8-by-4.5-foot glass plate to take the largest possible photo of the train, which was displayed at the Paris Exposition in the year 1900. 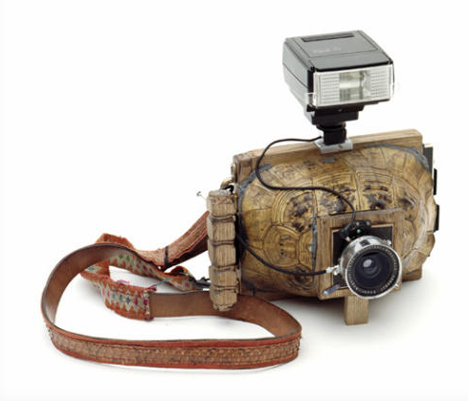 Virtually any hollow object can be turned into a pinhole camera, as demonstrated by Taiyo Onorato and Nico Krebs in their two-volume series of books, “As Long as It Photographs” and “It Must Be a Camera.” The pair found their turtle shells, taxidermy animals and other objects at flea markets. 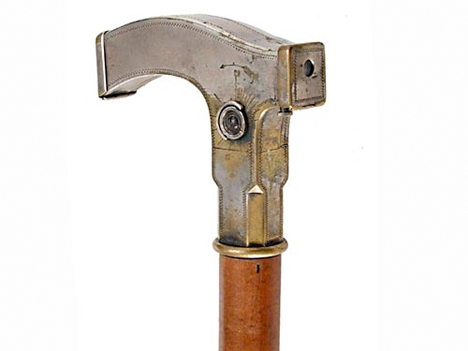 Made in 1903, the Ben Akiba cane handle camera features a shutter released by pulling a knob below the handle. When a roll of film is exposed, you just remove the side face of the handle to pull it out, and a new roll pops up from a storage area inside the cane. Both originals and replicas of this odd camera are in demand these days, with one selling for $27,000 in 2002.